displayed. The base of the unitized curtain wall system features glass fiber reinforced concrete panels which are set back from the face of the building skin, creating a hovering effect for this shimmering building skin. 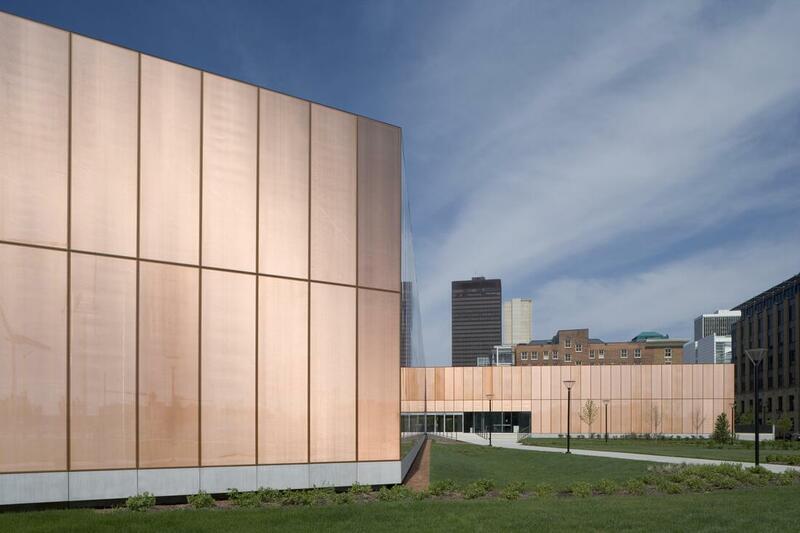 Designed to blend in with the surrounding park-like setting, the 150,000 square foot library features many sustainable characteristics including energy efficient day lighting, as a result of the copper mesh within the insulated glass unit, and a green roof.